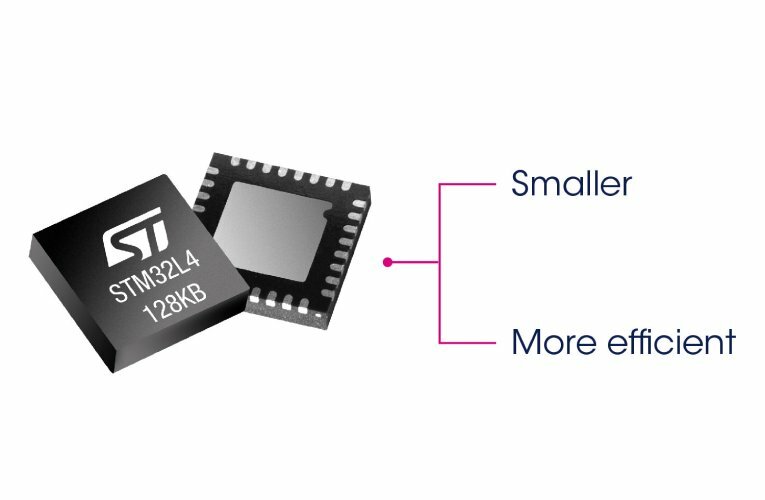 STMicroelectronics released two new microcontrollers STM32L412 and STM32L422 with a focused feature set and compact size, to provide ultra-low power technologies and high performance to budget-conscious consumer, industrial, and medical applications. Combining economical 64Kbyte or 128Kbyte Flash density with features such as ST’s FlexPowerControl (FPC), and the 80MHz Arm Cortex-M4 core, they set best-in-class EEMBC benchmarks for efficiency and performance: 273 CoreMark provides for speedy execution in devices like smart sensors or consumer wearables, while 167 ULPMark-PP (Peripheral Profile) and 447 ULPMark-CP (Core Profile) demonstrate category-leading energy management. These benchmark figures can be turned into tangible product advantages, leveraging features such as the multiple reduced-power modes to maximize battery life. Analog peripherals including two ADCs to perform simultaneous acquisition and a comparator integrate more of the signal chain on-chip, for sensing or heart-rate monitoring. Moreover, extra package options including 5mm x 5mm LQFP32 or 2.58mm x 3.07mm WLCSP36, save component count and board space.